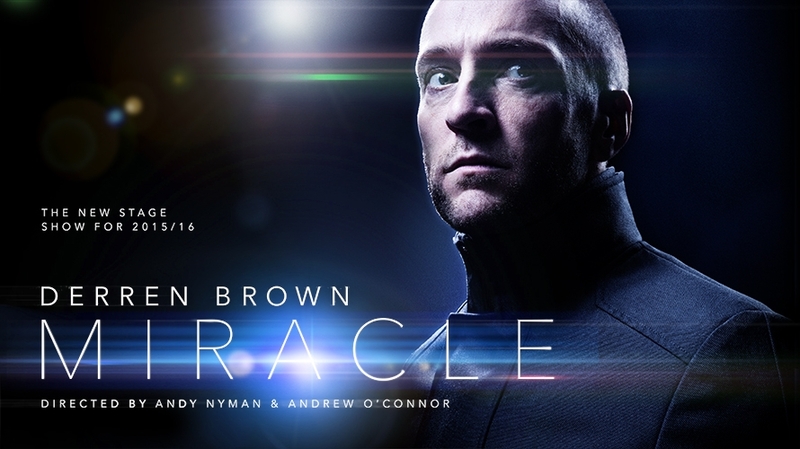 The multi-award winning acknowledged master of psychological illusion is back on tour in 2015 with a brand new one-man show, Derren Brown: Miracle. Having confessed that performing live on stage gives him the greatest pleasure, Derren is, once again, looking forward to the challenge that comes with being acknowledged as one of the world’s most renowned live performers; a dark manipulator of magic and mind control. This will be Derren’s seventh show since 2003. Since then he has toured every year and been watched by an estimated audience of over one and a half million people. He has won two prestigious Olivier Awards, for Something Wicked This Way Comes (2006) and Svengali (2012). His last show, Infamous, was universally acclaimed by critics and audience alike.